Here at Ontario Go Green, we pride ourselves on our workmanship, offering the highest quality products and best service possible. With that in mind, we offer the industry's best guarantee. 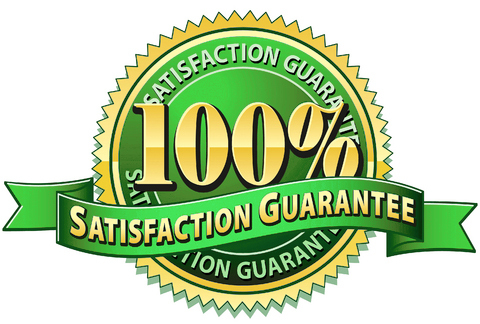 A full 100% satisfaction guarantee. Should our water filtration system not perform exactly as described below, just simply contact us, and we will remove the product from your home at absolutely no cost to you. This offer cannot be combined with any other product or offering. Please read the full page for full understanding of the guarantee. Should you have any questions or concerns surrounding any of the following, feel free to contact us. The Pro Series whole home filtration system is designed to remove contaminants from municipal water systems. It will reduce chlorine, the by-products of chlorination, pesticides, herbicides and chemicals in general including VOC’s (Volatile Organic Compounds). Water from lakes, rivers or community wells is treated by the municipality at central treatment plants then can travel several hundred kilometers to reach your home. Our filter is installed after the water meter or where the water enters your home from the outside. It is a simple in and out configuration which does not require a drain or electricity to operate. It uses the water pressure from the city to do its work. When water enters the filter it is forced down the middle of the filter through a tube and then it is forced up through the filtering media out of the filter and runs through the home. We use only top rated granular activated coconut carbon which is processed to have small, low volume pores that increase surface area. These micro-pores increase the Charcoal’s adsorption capabilities, giving it a huge surface area. One Gram of activated carbon will have roughly 500 square meters of surface area. One teaspoon has the surface area of a football field. As water flows through the bed of activated carbon, chlorines and chloramines are adsorbed onto the surface of the carbon pores. The Molecules actually adhere to the surface of the carbon pores removing it from the water used for washing, bathing and drinking. This offer is valid from the date of your install to the seventh day following your install. For greater clarity, if your PRO SERIES whole home filtration system was installed on Jan 1st, 2015. This offer would expire, and you will not be able to remove the product free of charge anytime after Jan 8th, 2105. Following the seventh day, you will need to refer to the rental agreement signed and the terms and conditions on the back.